Philip was suspicious of the Viscount intentions and intended to find out more about him, but Philip's primary concern was the welfare and the future of his children. "My uncle just sent me head he was planing on coming in do time. "She said to them. "My uncle does not wish to cause trouble with anyone I am just the same. "She said softly to them. -Rosalina di Calabria of Aragon was the Duchess of Calabria, Nepi, Sessa, Urbino, Romagna, Camerino, Palestrina and Burgundy and Princess of Salerno along with Marquis of Llombai and Navarr'es, she was the King of Naples granddaughter and she stood within the throne room walls in front of the young countess and her governess, Rosalina was her uncle's favorite when he was alive and she looked at her husband hearing his words, She held also the title of Dowager Duchess of York as well through her first marriage which she still held also title of Dowager Duchess Mother of her children of York, Her son Louie was to be King soon and she looked at her husband listening to his words. "You know well my York children are of York blood, but they are also your step children, Edward is first and always their father by blood. But you husband have been a good father to all of them" Rosalina said to him "our son Henry and our daughter Louise is always yours and my own at the same time but to claim a Plantagenet child as your own isn't a easy task" Rosalina said to her husband. But just before she was to talk her uncle was announced. "Viscount of Tuscany Frederick Dinapoli." The servant said as a very Italian man with dark hair and brown eyes walked in and bow to them. The Princess Rosalina and The Duke of Burgundy, asked Viscount Frederick Dinopoli to join them in their study chambers for discussions they had been eager to hear. They all seated them selves around a large table as the Viscount somewhat nervously began to speak with them. 'As you know the little Countess's parents are no longer with us, and since their passing the land of Tuscany has been in anarchy, some of your own enemies have created a rebel group against our Kingdom, and are trying to usurp our family from our rightful place, I ask for an alliance as my own armies are too few to deal with such a crisis, we need help, this is why I sent the Countess before me and hoped for an alliance between us and a marriage with one of your sons to help seal an alliance between our kingdoms,' The Viscount took a deep breath a swallowed heavily as he looked to the royal couple, who he knew where feared and powerful people and The Duke looking to him nodded and could see this was a serious situation which could get out of hand and could see his concerns were genuine. Adrianna along with her governess started to look around the room. She pointed out everything she could see. She thought about being here but being in her own home. "Are you worthy of such alliances, will you keep your promises once their made" Rosalina said to him but then looked at her husband then back at the Viscount "With my first husband, The young York King of England, I have given him as you know 4 sons, my oldest son born was Sebastian, my second oldest son is Louie, but my third born son would be Juan and mine and Edward's youngest son is Edmund, Duke of York and Earl of Navarr'es and Camerino, He is my youngest heir between Edward V of England and myself" Rosalina said to the Viscount. "I shall propose my son, my youngest son and heir with Edward to your countess under one condition, and with those armies of the York and Borgia and the House of Hapsburg will aid in your alliances with us, but I will only do this if your end of the bargain is kept" Rosalina said to him "keep in mind, one who breaks alliances with us Borgia don't live to tell the tale of their treachery, especially when it is my children involved in the alliances" Rosalina said to him with a stern look on her face. Arch Duke Philip of Burgundy listened carefully to his wife as she explained all the terms of such an alliance to the Viscount, that no terms of any such unity could be broken at pain of death. Philip stood to be by his wife as she spoke to the Viscount. 'You have to understand My Lord that I will be sending our armies in to assist with the unrest in your quarter and I will not send my men to their deaths lightly, if I can save but one soldier I would do so in an instant and if anyone of them would die because of a broken agreement then your head would be ours for the taking, alliances of any sort have to be studied very carefully indeed especially if our children are involved,' Philip began to pace up and down thinking very deeply, rubbing his chin, 'Perhaps it might be an idea for the Countess to reside with us for a time to get to know the other children before any such betrothal comes in to effect. 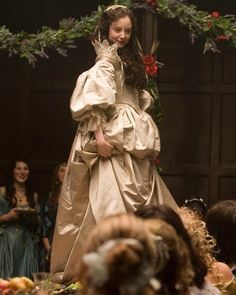 A parchment will be signed today for our political alliance and I will send my armies to assist at my command but any betrothal between The Countess and our son Edmund will be left open for a while as we will not allow any future unhappiness for the children, I hope this is acceptable to you, we can arrange chambers for the Countess and yourself if you wish to stay for a while,' Philip looked over to his wife who was listening intently. The Viscount bowed and agreed to all the terms of the alliance without question and Philip turned to his wife to complete the parchment as they seated them selves at the table. Louise of Burgundy walked into the throne room after a servant announced her to her father. She walked up to her father and curtsy to her father. "Thank you for seeing me father." She said softly to him with a smile on her face. She missed her father so much.